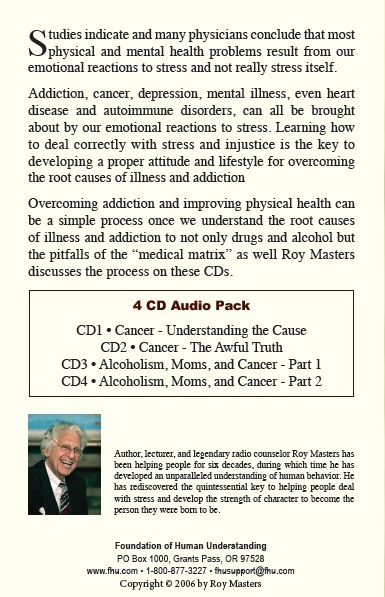 In this 4-CD pack, Roy Masters discusses the root causes of cancer, how to return to improved health, and talks to cancer sufferers about their condition. Studies indicate that cancer, heart disease and auto-immune disorders can all be brought about by our emotional reactions to stress. 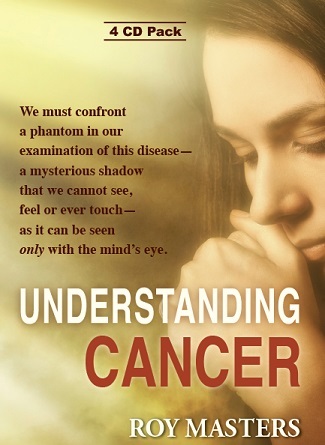 Cancer: Why Are We So Ready to Die Rather Than Ask the Reason Why?